Welcome to MMR! 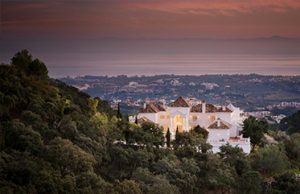 We are developing the luxury travel industry by providing our guests an exclusive experience in La Zagaleta villas for rent, including 5 star hotel-like services we offer unique villas also in Puerto Banús, Marbella and Costa del Sol. We handpick and inspect all our properties from a hospitality point of view, our Guest Experience Manager connect with our clients and design journeys which deliver the ultimate in comfort. MMR counts with more 20 years of expertise in hospitality and direct contact with the owners, not using any third party in between, so you can rest easy knowing you’re enjoying the most competitive nightly rates, and provide an immediate response to any issue from a experienced hospitality team. 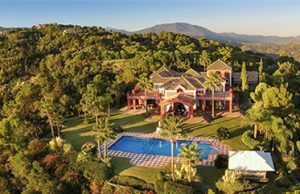 Club de Campo La Zagaleta is the most luxurious, discreet and safe urbanization in Europe located in the South of Spain, more concretely in the municipality of Benahavís a Malaga municipality of just over 7,000 inhabitants. 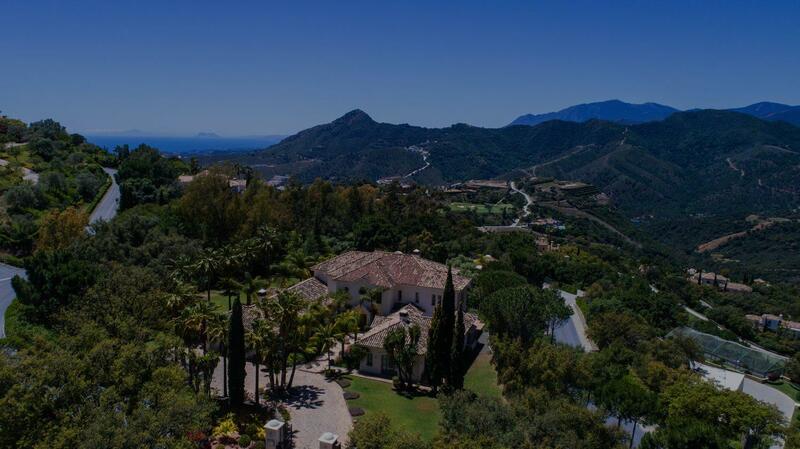 Just 15 minutes from Marbella and 60 km from Malaga airport by highway, this real estate complex is located on 900 hectares of land of fenced natural environment on the mountains of Ronda and offer excellent connections to the main cities of the Costa del Sol. The concept of La Zagaleta arose in 1989 when a holding company of Spanish, Swiss, German and North American investors acquired a property owned by the Saudi millionaire Adnan Khashoggi at a public auction. Nowadays this mansion is the one that serves as a clubhouse, and the annexed plot that included a hunting ground. The initial idea was to build 3,000 mansions in a quiet and natural environment to live, but Enrique Pérez Flores, now the honorary president of the company, and founder of La Zagaleta, proposed only 420 properties in order to guarantee a residential model based on exclusiveness, first class services and to preserve their natural environment. From the total of properties proposed 230 have been built so far, giving name to some of the greatest fortunes in the world ranging from 5 to 25 millions euro, what means that just a few plots remain which his the guarantee that the area will become more and more exclusive. There are only unique luxury private villas in La Zagaleta. Most of the already built properties have an area of between 3,000 and 10,000 square meters, views of Mediterranean Sea, the coast of Africa and the Strait of Gibraltar and its splendid golf course which are surrounded by abundant and superb well-kept vegetation thanks to the abundance of water supplied by natural lakes and springs. 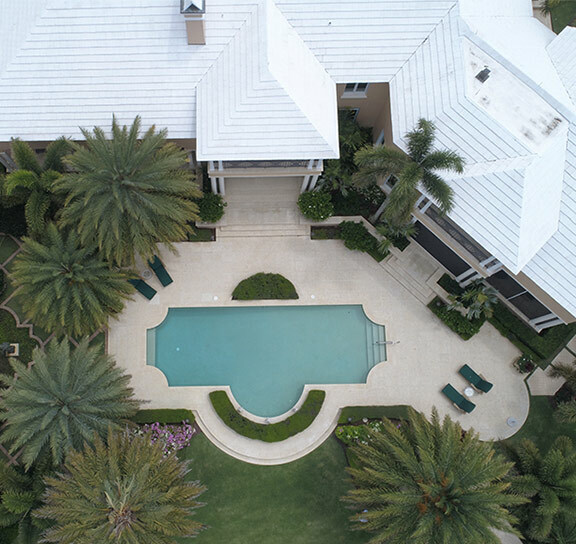 The most select senior executives in the world choose La Zagaleta because of the exclusivity that they find there, and also because of the high level of discretion and security that it provides. As security is guaranteed by the two insurmountable where just owners, members and special guests can access. Marbella Mountain Resort is the first class Destination Management Company as we offer full solutions from the beginning to end for your holidays in La Zagaleta, offering you the best service of the market and total solutions to delight you with the best experience of a lifetime. ¿Looking for a Luxury Villa for long term rent in La Zagaleta? La Zagaleta stunning villas are built on important plots, following the most design and quality standards and using the best materials, the villas also ensure freedom of movement since the distance between the plots are at least about 20 meters of pure forest and each property has its own road and its own security perimeter. This isolation and confidentiality, is what makes from La Zagaleta a marvelous place to invest for those ones that wish to avoid social exposure and seek discretion. Due to its remarkable characteristics, La Zagatela is a double paradise; for its residents and for architects. Best architects work on this complex with almost no budget constraints. Even though, there are some requirements that the properties have to maintain such as not exceeding two floors of height, have a roof of Arab tiles and or include a tennis court. 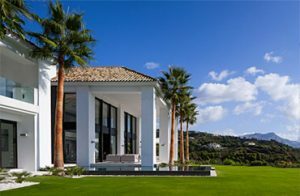 The villas in La Zagaleta are usually among the best properties in Marbella, with first class facilities such as private spas, gyms, wineries, theater and entertainment rooms and even helipads. The service in La Zagaleta is unbeatable too with the goal to satisfy the desires of such a demanding public. Concerning the style and architecture, in La Zagaleta are different options available ranging from stylish country houses to extraordinary modern properties designed by some of the best international architects. The organization offer full services to make life easy. La Zagaleta leimotiv is that residents enjoy the wonderful environment of the urbanization in completely tranquility. That’s why service in La Zagaleta is simply exquisite. They offer à la carte services, that goes from the most exclusive requests from a last minute restaurant reservation to a private charter or the organization of some holiday experiences and day trips among others. For this service to be the best, there is a team of 120 professionals dedicated exclusively to these functions. Workers of La Zagaleta have to pass a strict selection process to provide the best service, have to be fluent in three or four languages and are extremely trained in order to guarantee maximum discretion, privacy and respect. Confidentiality about never talking about the owners of La Zagaleta is an obligation that is imposed on employees too in order to ensure maximum privacy to the residents, that’s why from the urbanization you can see everything but nobody can look from the outside, it’s even not mapped by Google. La Zagaleta offers unbeatable services exclusively for its residents, partners, and guests, such as a Department of Technical, Administrative and Financial services, an ATM, a private heliport operated by Civil Aviation, gym, an equestrian club, two golf courses, spas, apartments for the service staff, a high level of 24 hour Security Department and fully integrated service to assist residents with daily tasks such as gardening, maintenance and cleaning staff, or Banking, Secretariat or Transportation services. Among the private facilities that a member can enjoy, the Club House stands out with almost 5,100 m2, which has a pro shop, restaurant, bar, swimming pool, billiard room, bridge room, party rooms and tennis courts. The Old Course Restaurant Zagaleta, is made up for a bar, a main dining room and a living room, all with fabulous views to the natural surroundings, to holes 9 and 18 of the golf course and Gibraltar and Africa in the distance. With a classic and fine design, the restaurant in set in neutral tones and serves Mediterranean cuisine with international touches from seafood to meat, pasta, salads, vegetarian dishes and even an Organic Corner with a delicious menu made with 100% organic ingredients to please the most demanding requests. Either if celebrating social gatherings, to hold private events or if it is romantic date, having a brunch, a healthy snack, or just for resting a bit and enjoying the views after a golf course, the restaurant is an excellent option adapted to every occasion in this stunning location. La Zagaleta has a pro-shop and two fantastic golf courses La Zagaleta Golf and Los Barrancos de La Zagaleta, both with spectacular views towards Gibraltar and the North Coast of Africa as well as none of the holes are in parallel with each other, so the only view while playing is the natural landscape. Surrounded by artificial lakes and a beautiful environment where from time to time, partridges, deer, even mouflon are sighted, have attracted many elite golfers and property seekers over the years. The entrance fee to become a member of The Club House and enjoy a private space for members, with its own restaurant with sea views is 90,000 euros, plus another 10,000 euros to pay annually. Something that is amply justified by the wide range of services that are offered, the high quality of the facilities and, of course, the first class reputation of the urbanization. The partners-owners of La Zagaleta have for their exclusive enjoyment 36 holes Parkland, being this one of the best high standing courses in Spain. Courses are designed for all levels as the low handicaps meet challenges more related to the precision, while the middle and high are to be able to enjoy a good and exciting experience. A few minutes is the Equestrian Club located with 23 stables and four arenas. The stables shelter 17 horses some pure blood, of which 6 are owner by guest and 11 belong to La Zagaleta and make routes around the farm. The attention and care of spa that horses recibe in La Zagaleta is better than in a regular equestrian center; The care service goes from eating a special feed, a system of fans that ensures appropriate temperature in their stables which are daily cleaned, a massage blanket that that is applied every day and extra zebra blankets that are used in summer in order to scare away mosquitos and washing and cleaning with warm water, shampoo and conditioner every time someone rides them. Also, in order for them not to lose the shape, a horse walker is available, horses exercise with the lead rope are provided twice a week too and are free in the automatic exercise ring once a week. You can also find ponnies in La Zagaleta so that no child is left without riding. Zagaleta one of the most desirable residential areas in Europe. Even if you wish to go for a hike or mountain bike the activities in La Zagaleta are limitless. Discover the 7 kilometers in length sections and spend a fabulous day in the forest enjoying the wonderful views from the mountains and the flora and fauna of the surroundings. If you are a racquet lover you will find a place to enjoy your favorite outdoor activities too; La Zagaleta Country Club has two tennis courts and a paddle court also surrounded by an amazing natural landscape. It has its origin in the agricultural colony of the same name that in 1860 he founded the General Manuel Gutiérrez de la Concha and Irigoyen, first “Marqués” del Duero. 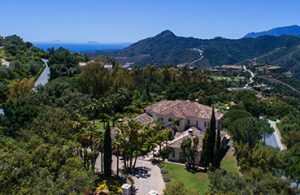 Located 10 km west from the glamour of Marbella and 20km from the town of Estepona, this ancient and farming community is today an unspoiled little town with is own charm. Do not miss La Plaza de la Iglesia with is church surrounded by typical narrow Andalusian streets with little shops, cafés and bars, as same as the street market on Tuesdays popular for its large variety of locally grown fresh fruit and vegetables. Nueva Andalucía is a short walk from the beaches from Puerto Banús. It is located in the center-west of the municipal district, between the center of Marbella and the district of San Pedro Alcántara. The district encompasses an area of luxury villas and apartments designed in the traditional Andalusian style among large golf courses. This area was developed for those people who wished to be based in a calm and residential area, enjoy tranquility, living in a beautiful urbanization surrounded by gardens, swimming pools, supermarkets, sports facilities, hairdressers, gymnasiums... All the facilities of a town but located on a residential area to ensure an incomparable quality of life. 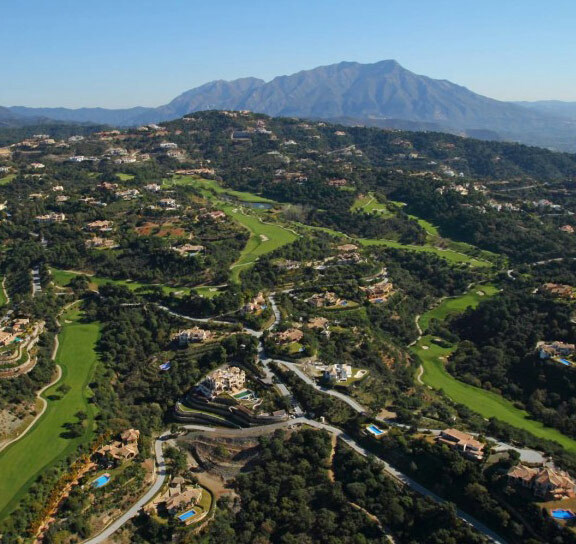 Nueva Andalusia is also well known for offering excellent golf courses all of them with fabulous facilities including La Quinta, La Dama de Noche, Las Brisas, Aloha and Los Naranjos. The best hotels close to Puerto Banús, expensive properties, exclusive shops and high end restaurants. This is one of the most luxurious residential areas in Marbella, ideally located along the Mediterranean coast. It stretches for slightly over 2km from Puerto Banús in the west to the edge of the centre of Marbella in the east. Prince Alfonso con Hohenlohe was the one opening the Marbella Club Hotel in 1954 from since them the high-end society stared buying fabulous properties in that area nowadays know as the Golden Mile. This area includes the ancient city walls and two historical suburbs, Barrio alto (north) and Barrio Nuevo (east). Whats impressive is the ancient walled city which retains nearly the same layout as in the 16th century. The most iconic square in the old town of Marbella is la Plaza de los Naranjos, an example of Castilian Renaissance design. Around the square the are more Renaissance style buildings as the Catholic Monarch but in 1568 and the Mayor’s house that combines both gothic and renaissance style elements in it’s façade; and the Chapel of Santiago, the oldest religious building in the city, built earlier than the square probably around 15th century.